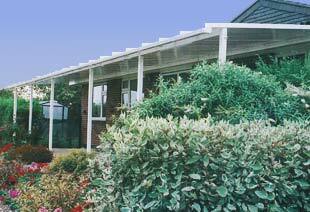 Professional patio canopy & carport installation in Ripley. The addition of a carport or canopy offers a low cost and low maintenance protection solution for your car, caravan or other prized possession. 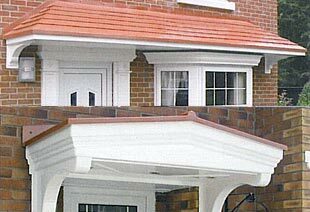 Carport installations to the side of your property often don't require planning permission but we can assist with planning advice if needed. 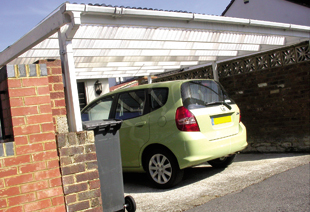 To find out more about a carport or canopy, contact us today. With over 30 years' experience in patio canopies, porches and carport installation, we are pleased to provide free estimates and advice to put your mind at ease. 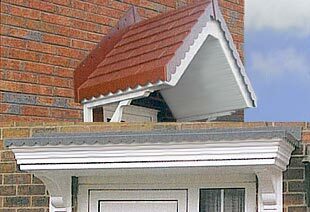 We always attend to carry out a complete measure before providing your free estimate. Why should you choose us for canopy and carport installations? As members of DGCOS (the Ombudsman scheme for the UK double glazing industry) you can be sure of exceptional quality and the highest level of workmanship. Copyright © 2016. Windows 2000 Limited.